When it comes to dining, our motto is, “Save the best for last!” Dessert is sometimes treated as an afterthought, but the latest craze is to craft post-meal treats that are as visually pleasing as they are delicious. San Diego is always up to date on current trends, so it’s no surprise to see spectacular dessert destinations popping up all over the city. And if you’re going to treat yourself, why not show it off to your friends? Here’s our list of San Diego’s most instagrammable desserts. 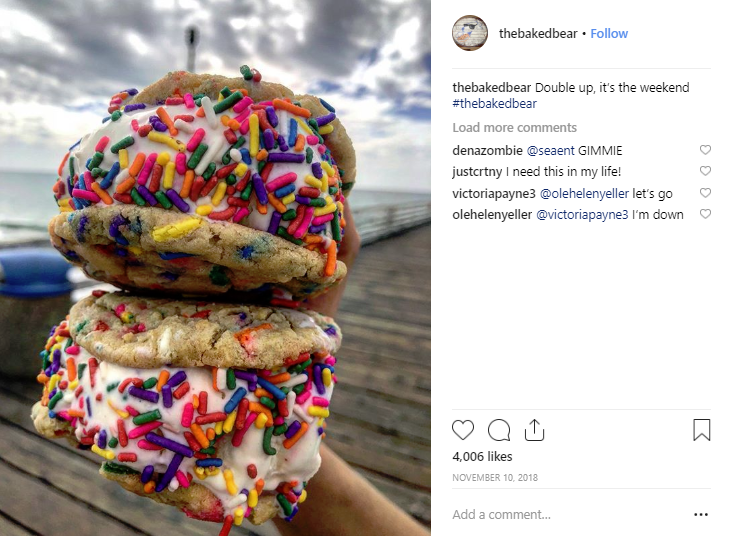 A favorite of our guests at the Pacific Terrace, Baked Bear’s mission is to “Spread joy and create memories, bringing a smile to every customer’s face, one ice cream sandwich at a time”. Customized ice cream sandwiches are their specialty. Enjoy fresh baked cookies and hot pressed ice cream just steps from the hotel. 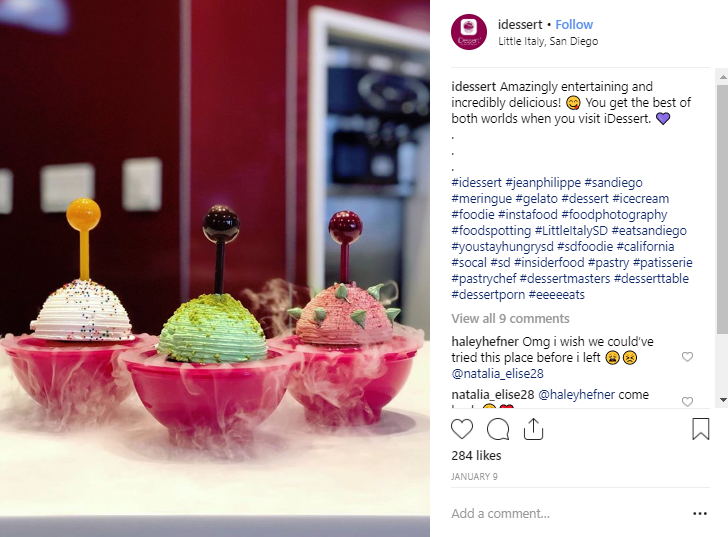 Located in popular Little Italy, iDessert is a futuristic dessert shop that’s been generating plenty of social-media buzz. This unique destination, led by Las Vegas pastry chef Jean-Philippe Maury, specializes in custom, multi-layered treats, with a few innovative extras. For the ultimate experience, get your dessert served in a Vegas Bowl and watch as dry-ice fog seeps out from around your confection. With two locations in Kearny Mesa, this sweet spot is also building a loyal following. 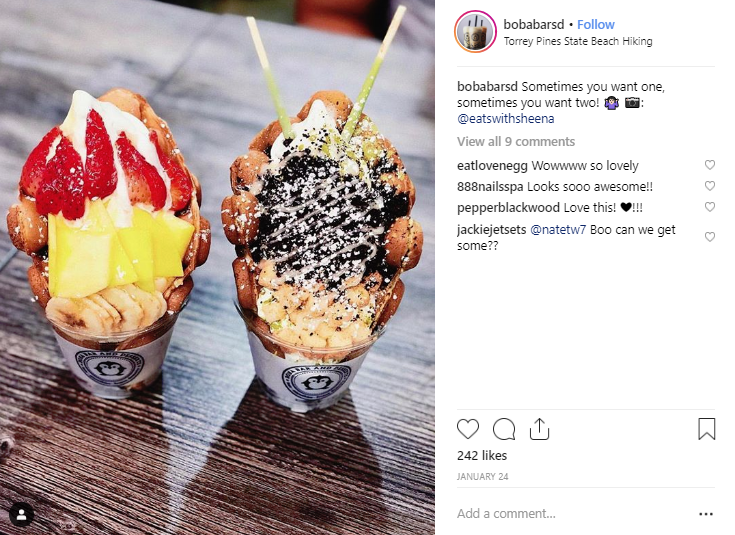 Shaved ice, bubble tea, and smoothies aside, the real star of the show here is the “puffle.” These extravagant waffle cones have been called a variety of names — puffles, egg waffles, eggettes, and Hong Kong waffles, to name a few — and are inspired by Hong Kong egg cakes. Roll it up, add ice cream, throw on your favorite toppings, and you’ve got a delicious treat just perfect for social-media sharing. This innovative frozen treat was made popular in Southeast Asia, and is now available at the stylish Bing Haus, located on Convoy Street. Originating in Thailand as popular street food, “rolled ice cream” or “stir-fried ice cream” is made by pouring a creamy, liquid mixture onto a frozen plate, where it quickly begins to take shape and add-ins can be thrown in. After a couple of minutes, the mixture is rolled up, placed in a cup, and ready for more toppings (and a quick photo op) before enjoying. Pacific Terrace Hotel has its own tasty treats to satisfy your sweet tooth. The dessert highlight here is definitely the chocolate lava bundt cake, served with a scoop of vanilla ice cream on top. At once both classic and decadent, this dreamy dessert is sure to please. Even better, you can order it poolside or straight to your room if you’re staying at the hotel.